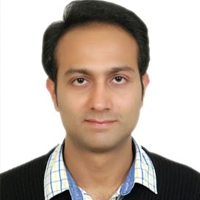 Gaurav Dhamija is currently pursuing his Ph.D. in Economics at Shiv Nadar University, India. He obtained his M.A. in Economics from Jawaharlal Nehru University, and B.A. in Economics from the Delhi University. His research interests lie in the fields of development economics, health economics, and labour economics. Prior to enrolling for the Ph.D. programme in August 2015, Gaurav was an assistant professor at the Indian School of Business and Finance, New Delhi.